With more than 40 years of litigation experience, Russell Scott has built a reputation for his defense of clients in large class actions and toxic tort cases. Russell Scott frequently defends clients in federal court, in particular the Southern District of Illinois. From his first day at the firm — when he picked up a major pharmaceutical class action case before he had even unpacked — Russell has built a practice committed to the defense of claims including class action, civil RICO suits and toxic and mass tort litigation. His work also has included product liability, industrial accident cases, premises liability, construction, insurance coverage, and legal and medical malpractice suits. Russell’s national class action cases have involved automotive parts, pharmaceuticals, fuel additives, herbicides, consumer products, computer processors and financial and insurance transactions. He often represents national clients as local counsel and managed litigation on a nationwide basis for a manufacturer for several years. A history of professional and community involvement has kept Russell — who is the leader of Greensfelder's Belleville office and a former member of the firm's Board of Directors — at the forefront of the region’s legal community, with leadership roles in local, state and national organizations. For the U.S. District Court for the Southern District of Illinois, he served as chair of the Local Rules Committee and vice chair of the Civil Justice Reform Committee. 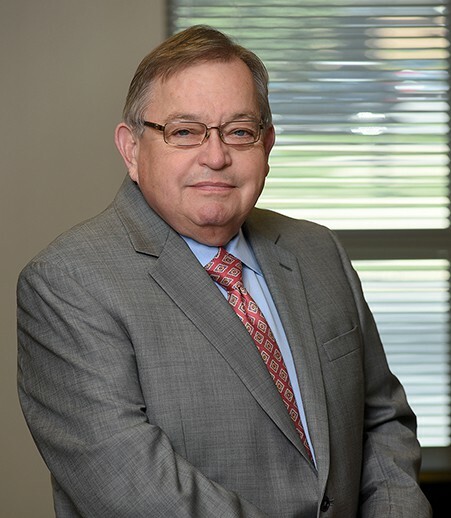 As a certified mediator, Russell mediates and arbitrates personal injury, professional liability, insurance, commercial and construction disputes and is on the mediation and arbitration panel for the United States Arbitration & Mediation Midwest office. 2012 American Inns of Court Professionalism Award for the Seventh Circuit.